The Android Wi-Fi tablet market has been fairly stagnant for the past 3 years. With less consumer demand for these products, there are less IC manufacturers designing new chips for the market and those which are still making chips are updating less frequently. Below is a list of selected popular chips from the leading China Android tablet chipset manufacturers Rockchip and Allwinner Tech. You’ll find that both brands use ARM architectures and in some cases have very little distinction between their competing chips. From a custom tablet standpoint, there’s usually more flexibility on Rockchips and Allwinner for special modification requests and support from the IC makers on lower volumes. The other major IC manufacturer making CPUs for Android tablets designed and manufactured in Shenzhen is Mediatek. MediaTek has a similar, and in some cases even better, selection of processors, but getting customizations done on the Mediatek chips generally requires higher volume so this article will focus on Rockchip and Allwinner. This quad-core Cortex A7 processor is one of the most popular entry-level Android CPUs due to its stability, maturity, and low cost. The main differences between 3126 and 3128 are that 3128 supports HDMI output and supports LPDDR2. Quad-core Cortex A7 processor will live up to the standard of a simple tablet used for consuming video up to 1080P, running standard apps, and general everyday purposes that fit most users’ demands. 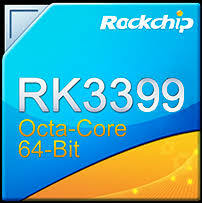 The 3368 is a powerful 64-bit octa-core and more costly alternative to the 312X series. It has an internal 8 megapixel ISP as well as high-resolution 4K HDMI output. The internal Image Signaling Processor (ISP) makes this more compatible with a wide range of cameras than the entry-level chips giving more options for better quality and lower cost cameras. Price-driven mid-level 32-bit Cortex A7 quad-core Android chipset that supports DDR4 and LPDDR4. Uses a 28nm IC design for lower power consumption, lower cost, and smaller size. With an internal 13MP ISP, 1080p display and recording this chip doesn’t exceed the specs of the RK3368 but has some clear advantages. With newer technology and a low cost, the A50 has earned design wins in higher end entry level tablets and vertical market devices. The top end Android tablet IC that Rockchips makes uses a dual-core Cortex-A72 CPU and a quad-core Cortex-A53 CPU (hexacore) paired with a Mali T860 GPU. It supports a dual USB 3.0 type-C and SATA connections to external hard drives. The processor runs not only Android but also ChromeOS and Ubuntu. Feature rich and high performance it combines a dual ISP, 4K (4096×2160) display output, 8-channel digital microphone input to make it well fitted for facial recognition, voice control, and many of the AI applications which are gaining mainstream popularity. This Cortex A53 quad-core chipset sits in between a mid-level and a high-level Android tablet CPU, but the only other high-end contender from Allwinner would be the octa-core A83T which was released back in 2014. It’s difficult for a chip that’s nearly 5 years old to be considered high-end. With the power to process AI functionality such as voice and facial detection, dual screen 1080p output (or 2k+ single screen output), multiple mic support, and 3D graphics processing this tablet chipset has become a favored option for designing many vertical market industrial products such as digital signage and POS systems. Allwinner began selling Wi-Fi Android chipsets when this category first became popular back in 2011. The huge overnight success made the company one of China’s better known IC manufacturers and helped it become a publicly traded company (in China). 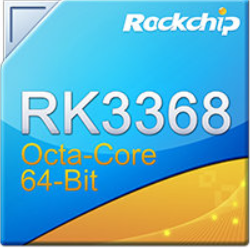 Rockchips hasn’t gone public and didn’t start out as successfully as Allwinner, but Rockchips has continued to improve on their line of Wi-Fi Android tablet chipsets while Allwinner has veered into different product categories. It appears that Rockchips has distinguished itself as China’s leading chipset for Wi-Fi tablets, but still faces strong competition from Taiwan’s MediaTek (which wasn’t covered in this review) in both value and popularity on mass-market consumer Android products. PREVIOUSElectronics manufacturing in America or Europe – Dream or Reality?